Travis Owen grew up and spent a majority of his childhood in the greater Phoenix area. Upon graduating from high school, he elected to stay in state for college and received his Bachelor of Science in Political Science at Northern Arizona University. In an effort to broaden his perspective and grow his network of professionals, Travis spent three (3) years in Virginia where he earned his law degree from The Appalachian School of Law. During law school, Travis excelled in academics and participated as an editor in the prestigious Appalachian Natural Resources Law Journal for 2 years. Travis worked entirely on a voluntary basis during Law School serving both the greater Phoenix area as an intern for local prosecutor offices, as well as the small legal community near his law school in Virginia. Mr. Owen’s dedication to serving his respective communities earned him the honors of receiving the Willard Owens Award for Excellence in Community Service during his time at law school in Virginia. Travis also volunteered as a member of the local Lions Club Chapter helping children with vision problems, worked with his local animal shelter to help in the placement of animals in homes, as well as being elected and serving as a Senator for the Student Bar Association during law school. Travis worked and volunteered with a law office in Virginia, and two here in the valley during law school. Mr. Owen’s tenure at these offices helped in gaining significant experience in litigation advocacy. During this time, Travis learned to work extensively with individuals from all walks of life and the unique legal problems that come with each. He further worked in reviewing and marking documents for a large Arizona corporate law firm on very complex legal issues. Following this work, Travis spent over a year at a small law firm in downtown Phoenix, practicing primarily Family Law. It was during this time Travis learned the basics of being a Family Law attorney in Arizona, and developed his own approach to cases. 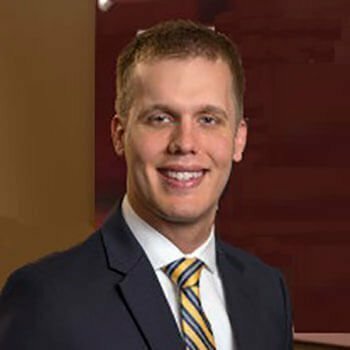 Travis was brought on as an Associate for RJ Peters & Associates based on his ability to provide excellent personal service and attention to each person he works with, while being aggressive and zealous in handling every case. RJ Peters & Associates practices primarily in Family Law. Travis grew up in the Phoenix area and knows the valley well. Before entering the legal field he studied political science and political theory extensively for four years in Flagstaff while attaining his undergraduate degree. Travis is happily married to his beautiful Wife and enjoys many hobbies, including hiking, Denver Broncos football, Arizona Diamondbacks baseball, traveling, and local dining. 2016 National Academy of Family Law Attorneys Top 10 Under 40. American Institute of Family Law Attorneys/ Arizona’s 10 Best in Client Satisfaction.